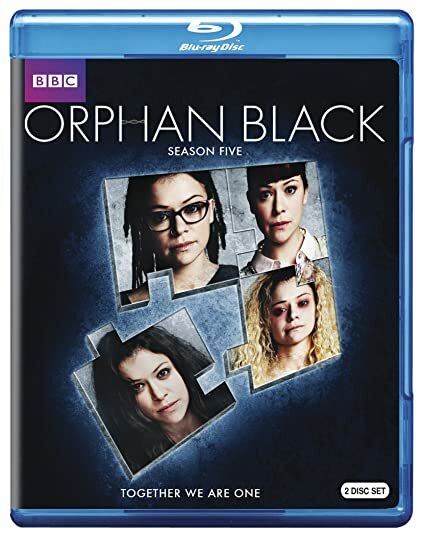 Orphan Black: Season Five - AVAILABLE ON BLU-RAY & DVD SEPT. 12! For Sarah and her sisters, this is the start of a deadly endgame that will have extreme consequences not just for them, but for the future of the entire human race. Can they finally expose the terrifying secrets at the heart of the corrupt Neolution? THEN SEND IN YOUR NAME, ADDRESS AND 5 COMMENTS TO contests@efilmcritic.com. Put "WE'RE NOT BLACK" in the subject line and cross your fingers. We will draw names and a winner shall receive a prize package. Only 1 entry per household.